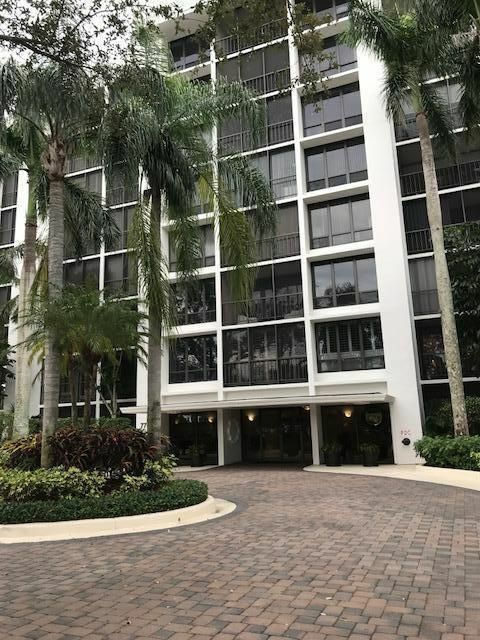 Lovingly maintained 2 BR, 2 BTH corner condo on high floor with tree top views from front, lake view from side. Large tiled floors in main living areas. This unit is very light and has been kept in immaculate condition. Shows very well. COVERED PARKING SPOT!!! Furnished and ready to move right in and enjoy the Boca West season. Mandatory membership.